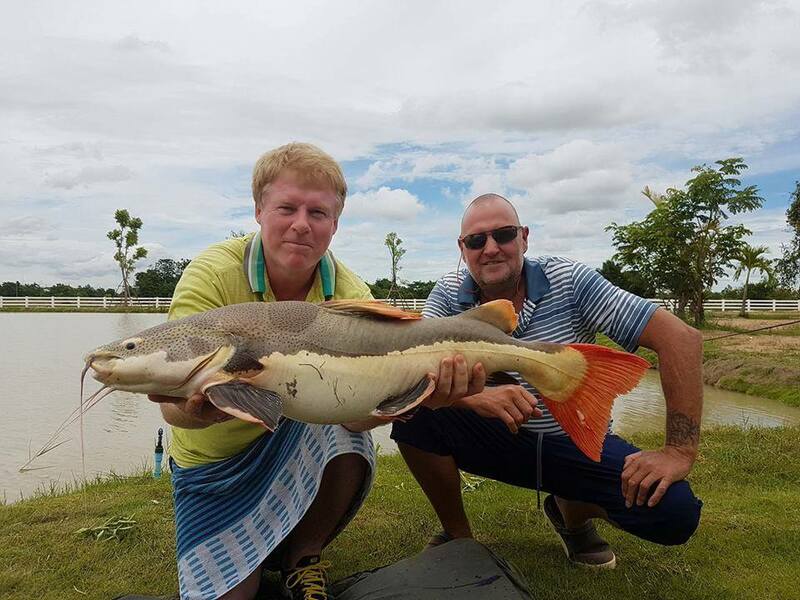 It was great to meet Danish anglers John, Johny and spectator Kenn and family’s today, the Amazon Redatil Catfish seemed to be on a bit of a feeding frenzy and it was nice to see they are gaining a lot of weight very fast ‘ .. thank you lads and hope to see you again soon! 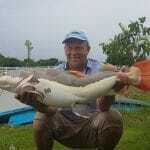 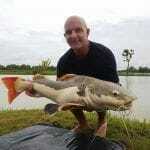 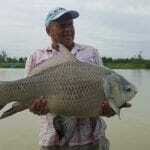 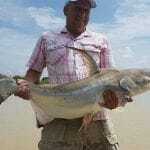 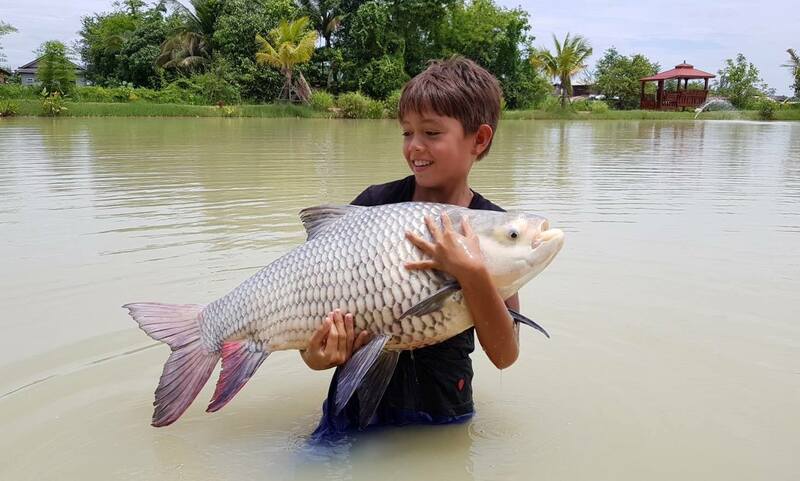 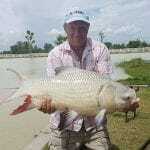 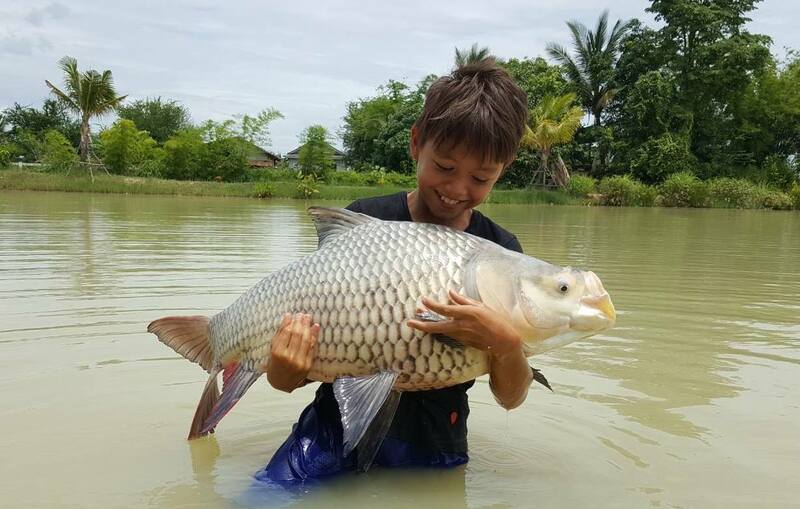 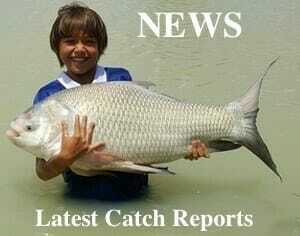 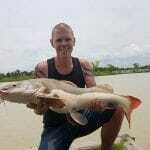 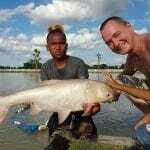 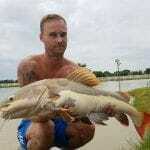 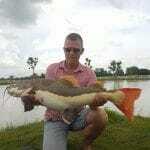 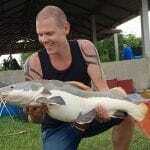 Between them it must have took the kids 45 minutes to land this clonker ‘ the big mekong’s are starting to feed now! 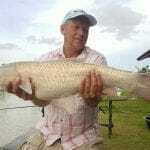 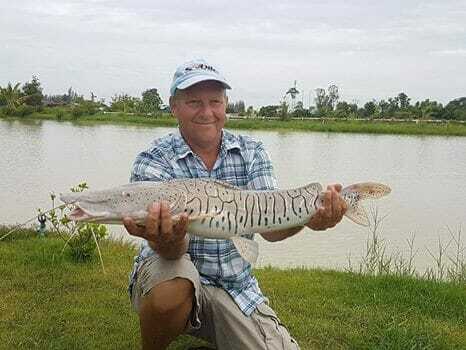 Stefan from Germany had a cracking afternoon session with the carp …..
It’s great to see people coming back again, this was Dave’s second time fishing the lake and the target fish today was Alligator Gar, he had a few runs with them before finally landing his first ever Gar… well done Dave and we look forward to seeing you again next time..
Amazon Redtail which we found were feeding very well today.. a few other nice surprises were caught too.. thanks guys I look forward to seeing you again next time..
A very pleasurable 3 days with Shaun who is the owner of Topcat’s Fishing resort Ko Samui. 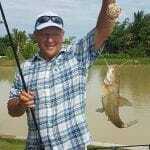 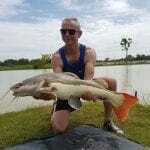 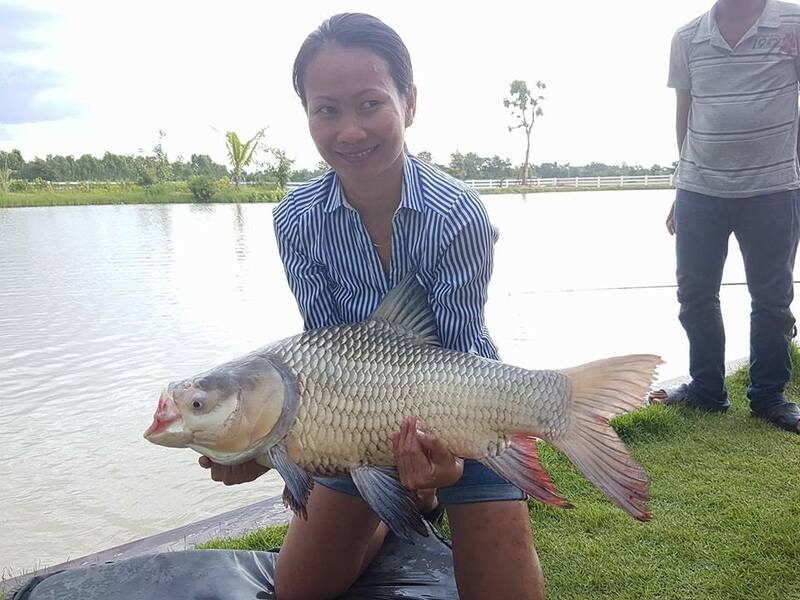 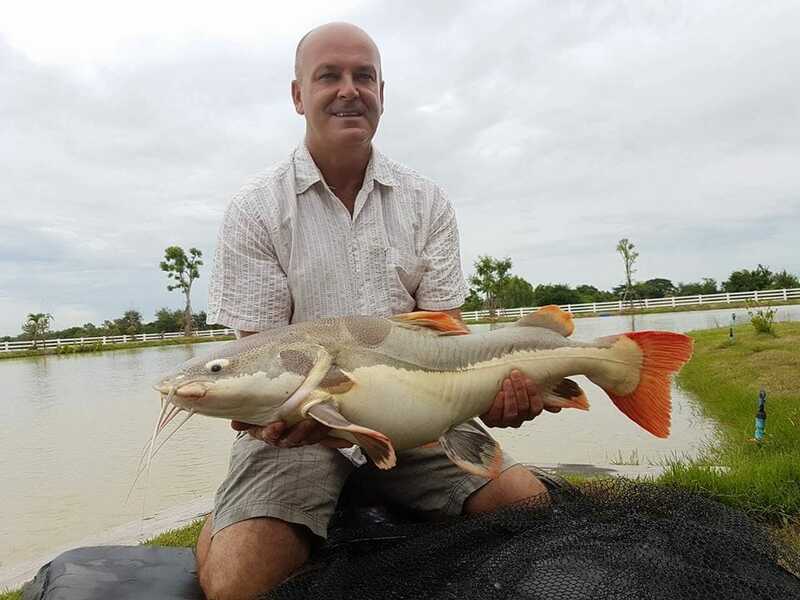 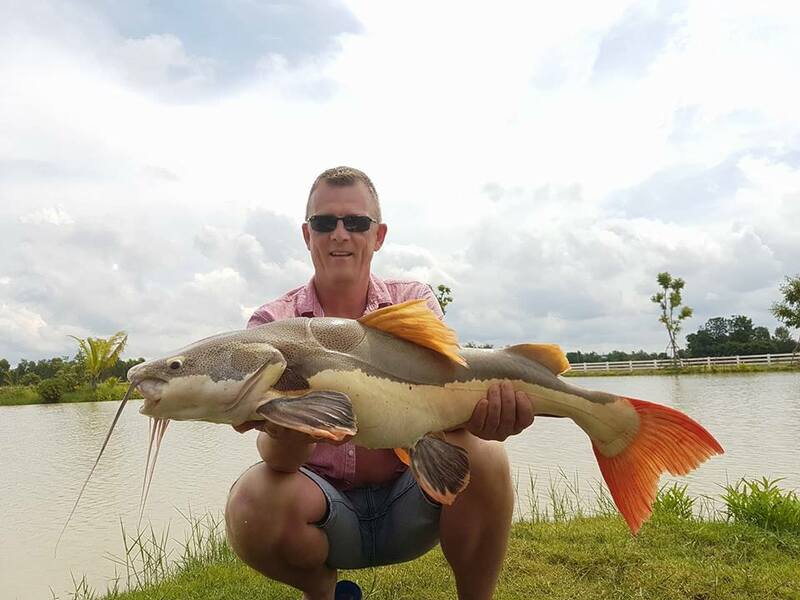 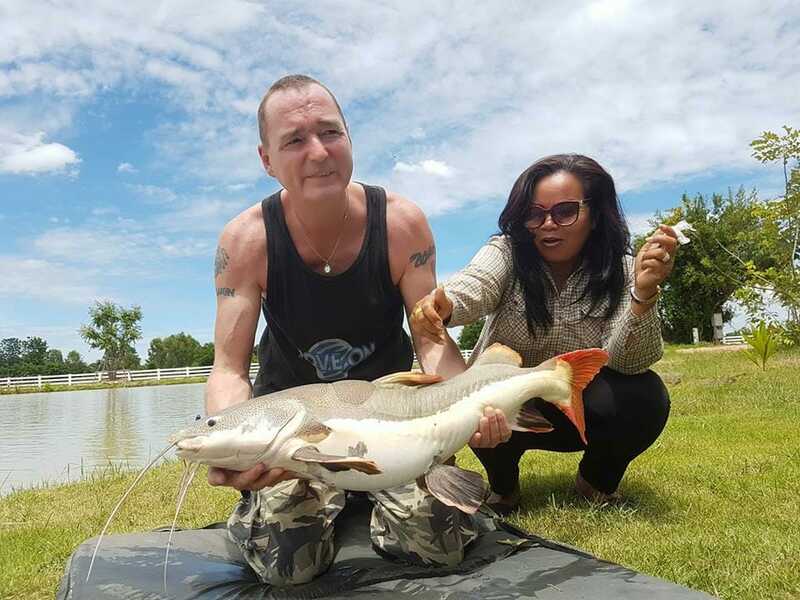 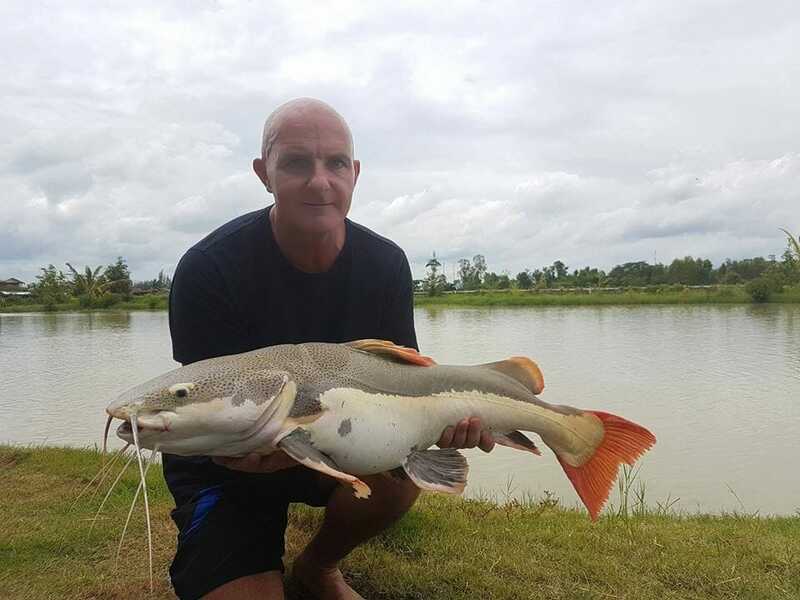 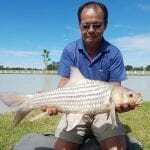 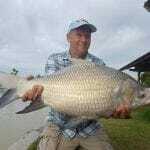 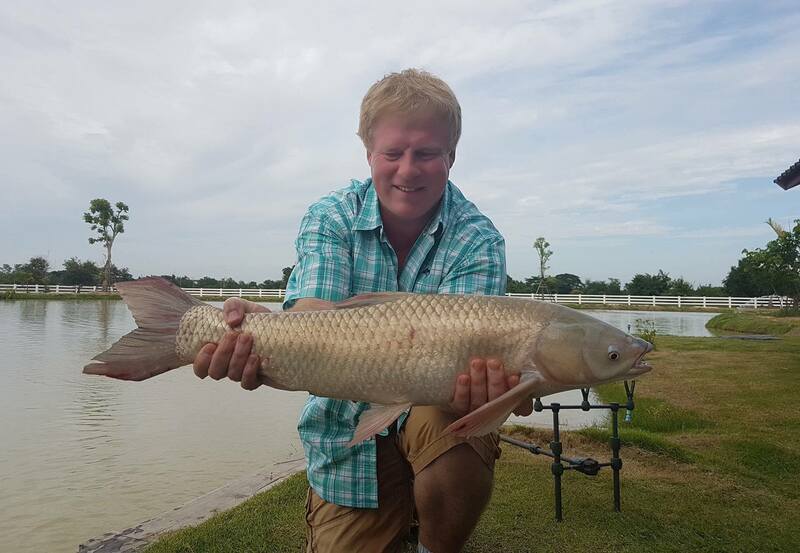 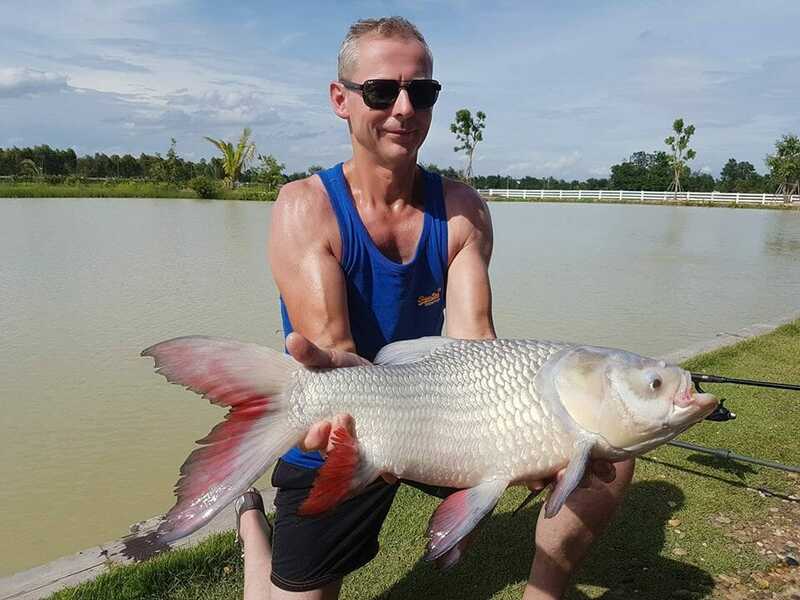 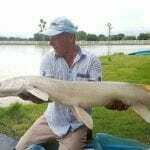 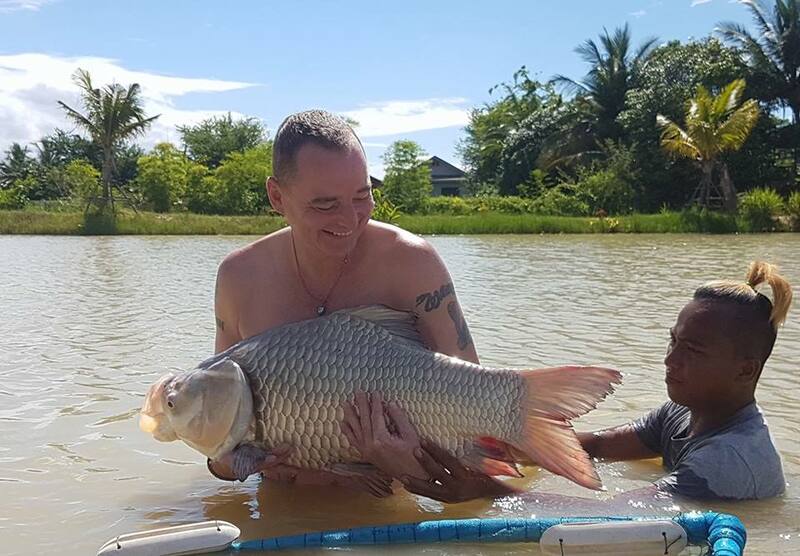 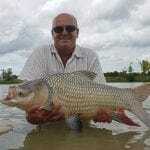 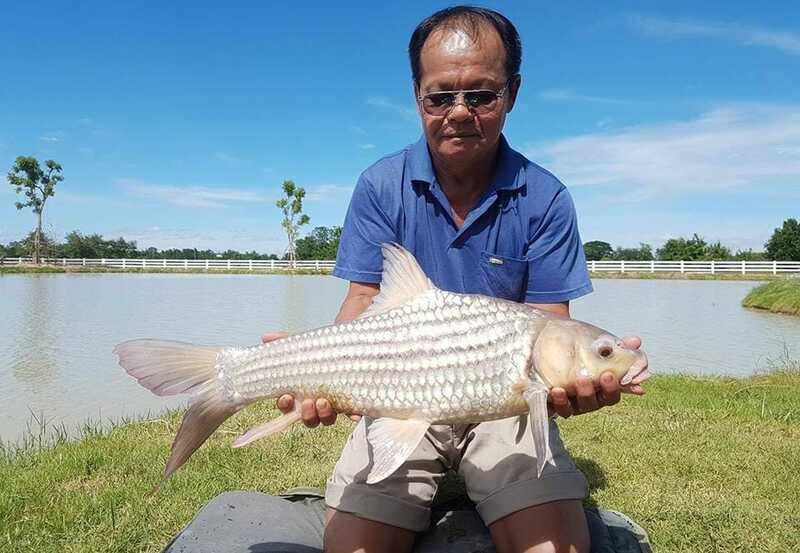 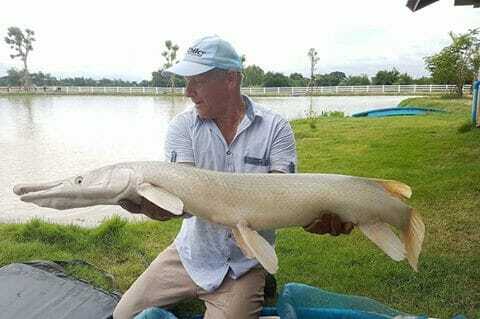 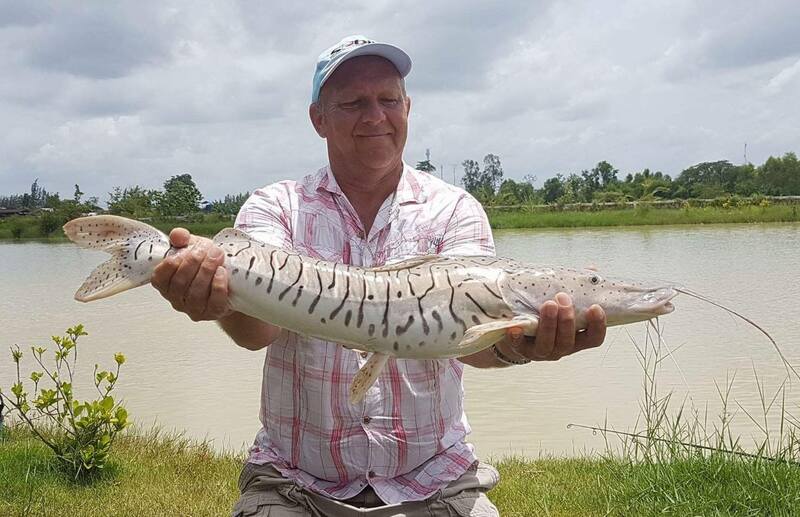 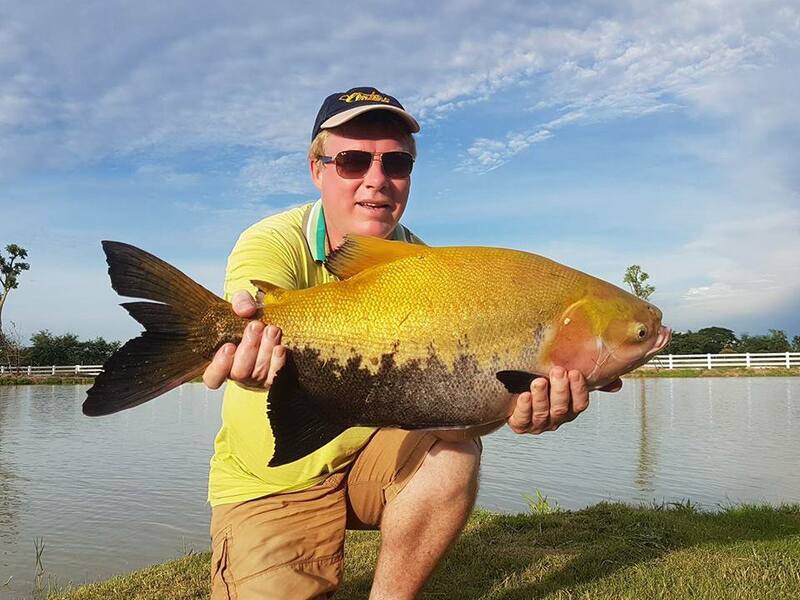 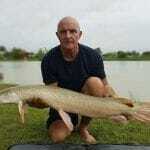 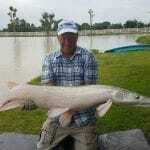 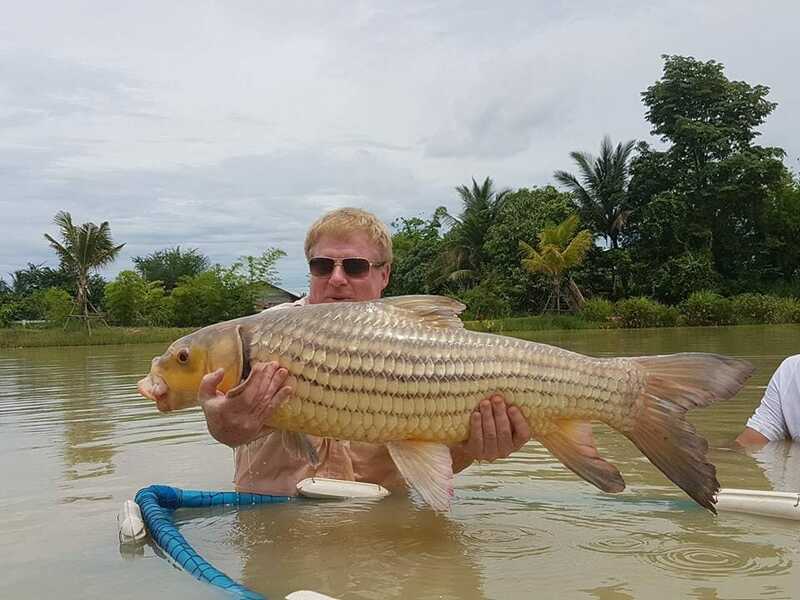 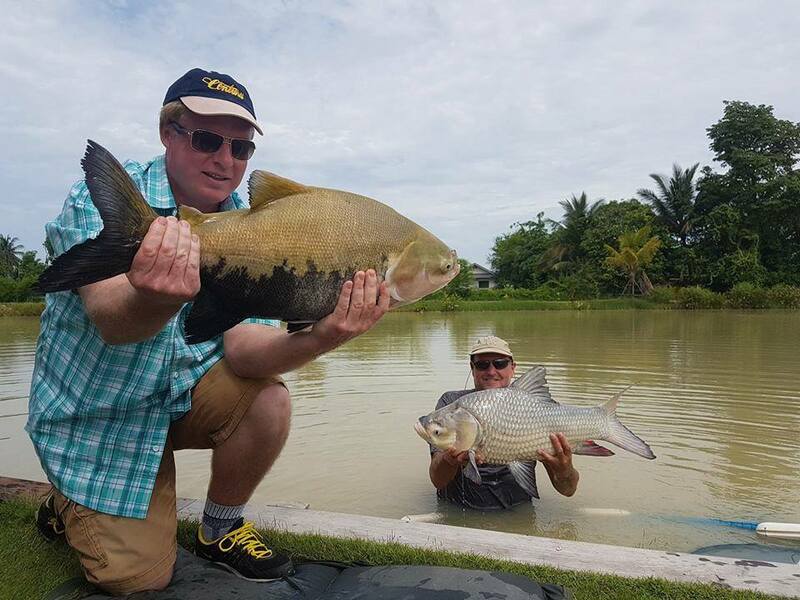 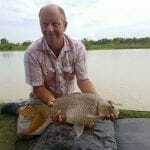 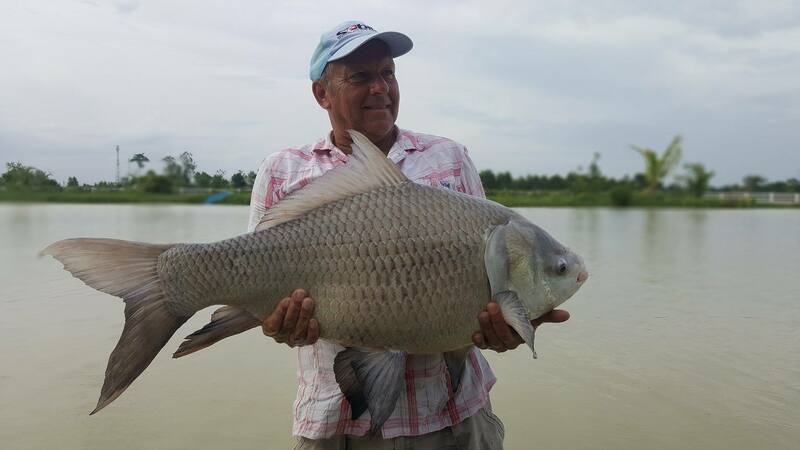 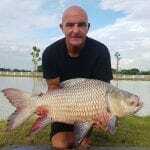 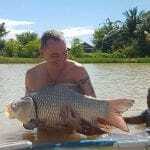 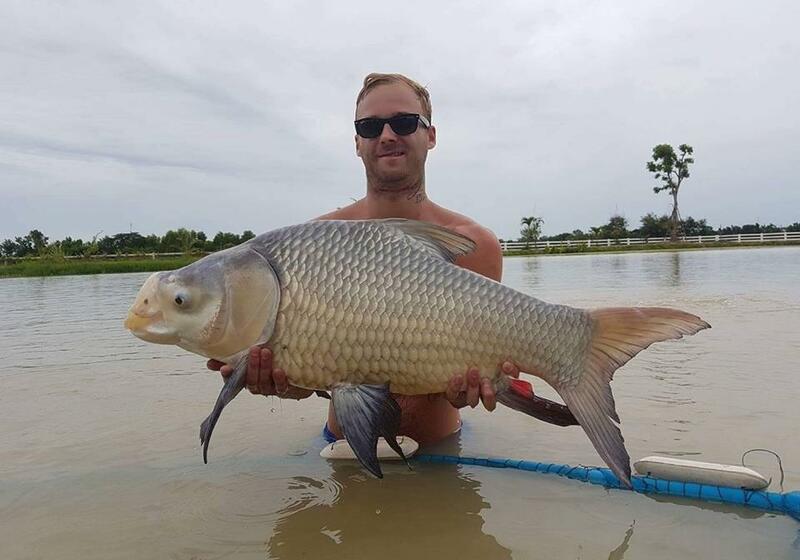 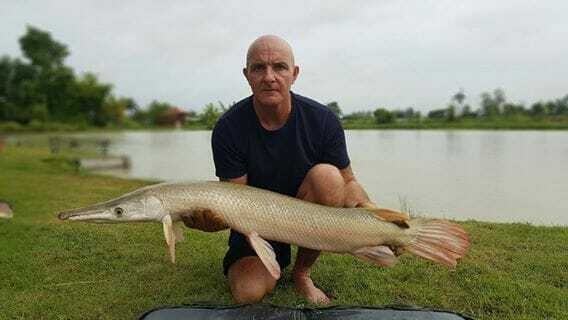 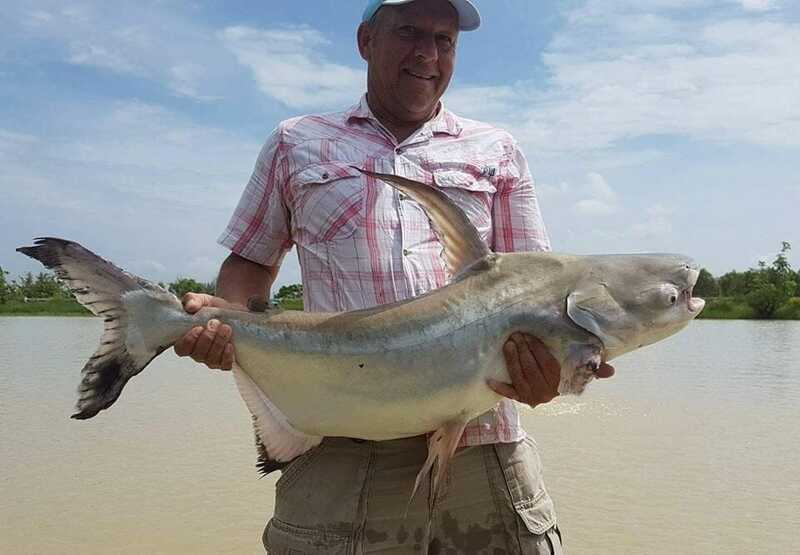 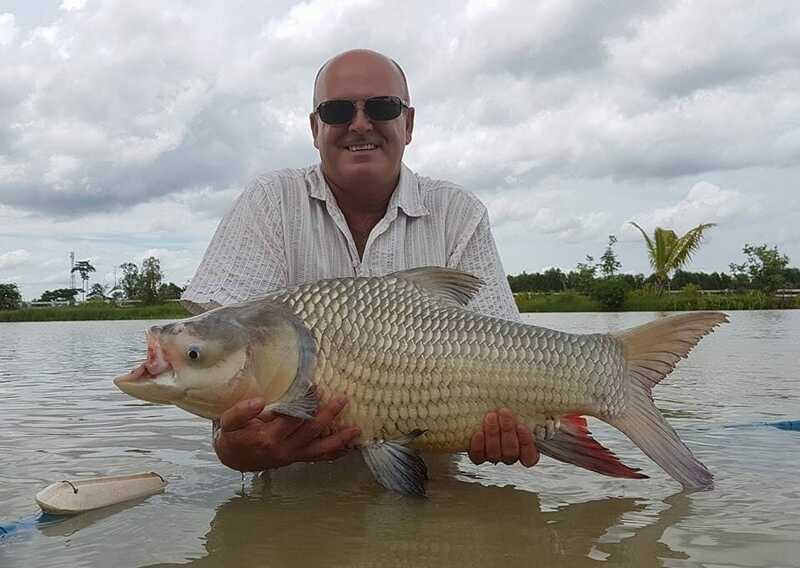 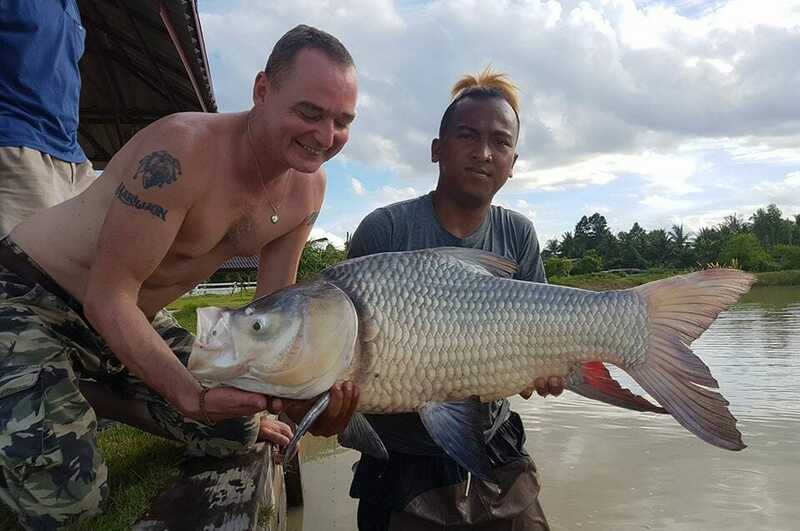 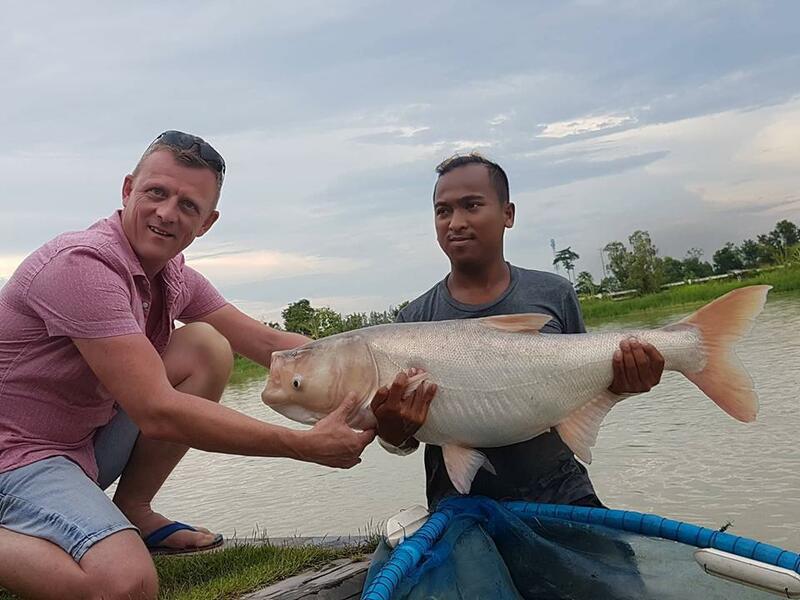 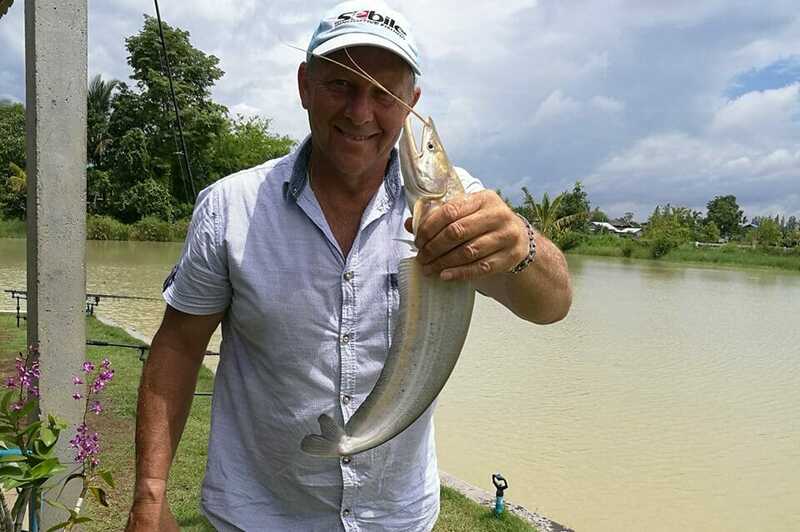 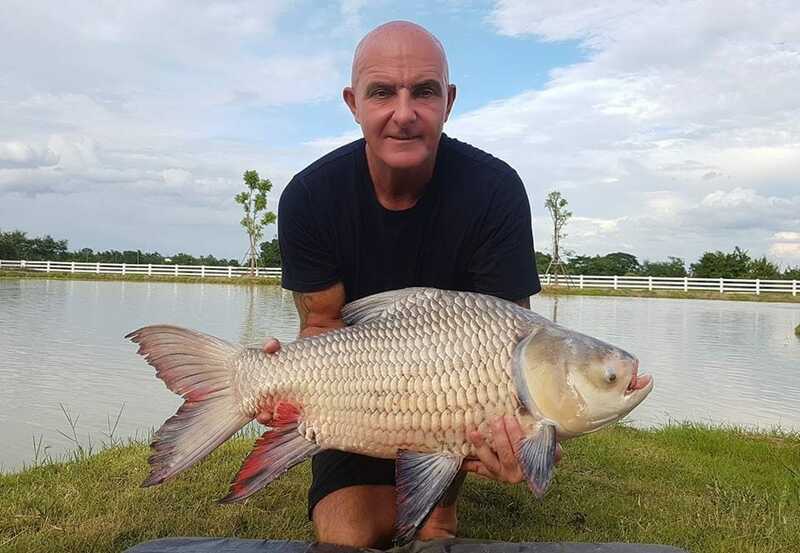 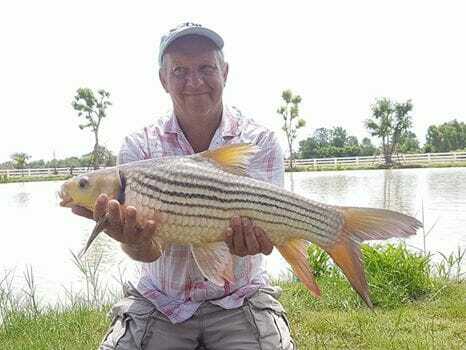 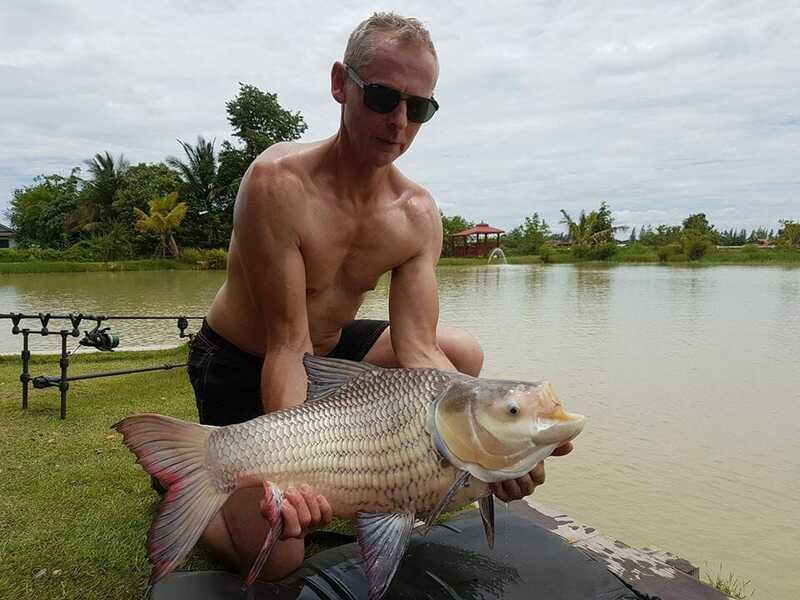 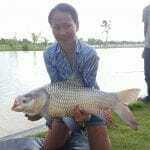 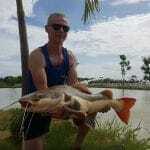 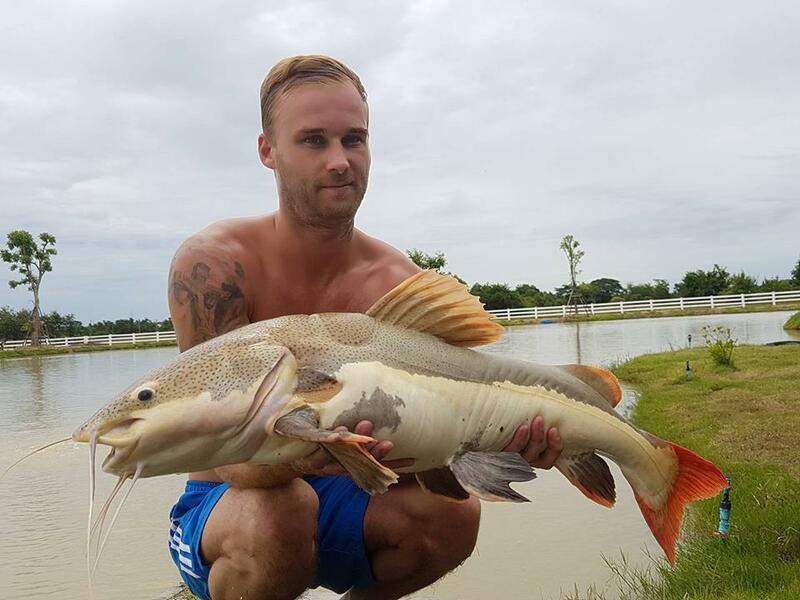 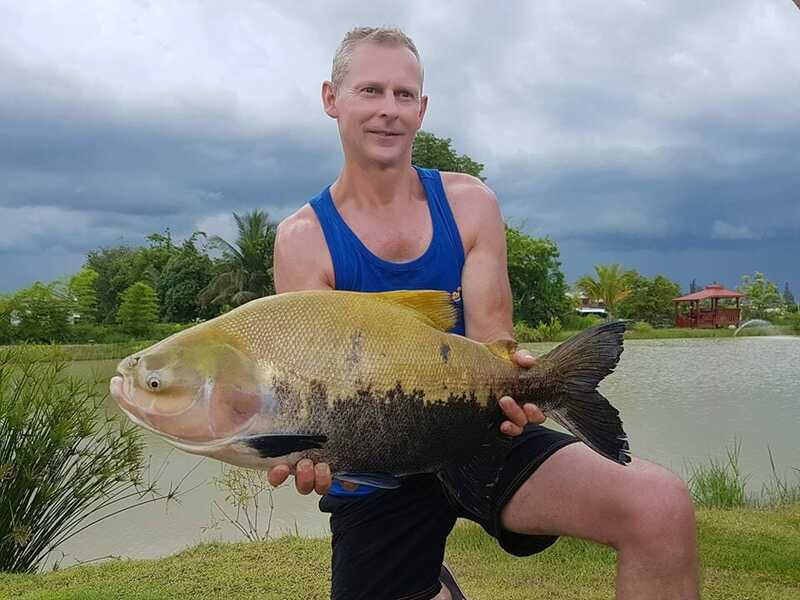 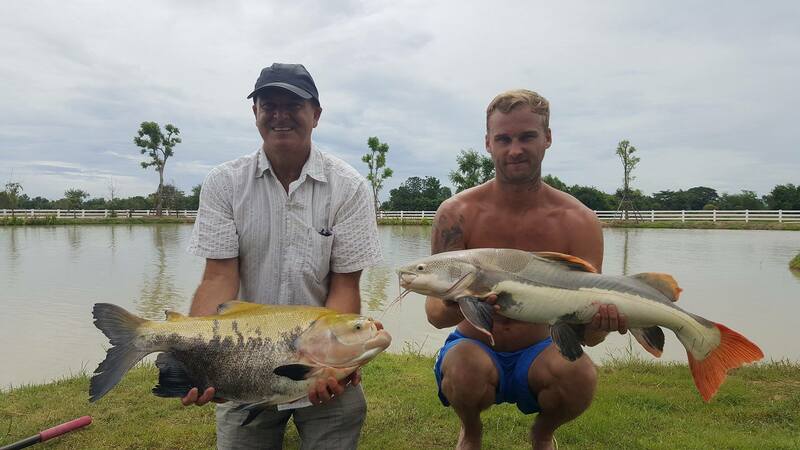 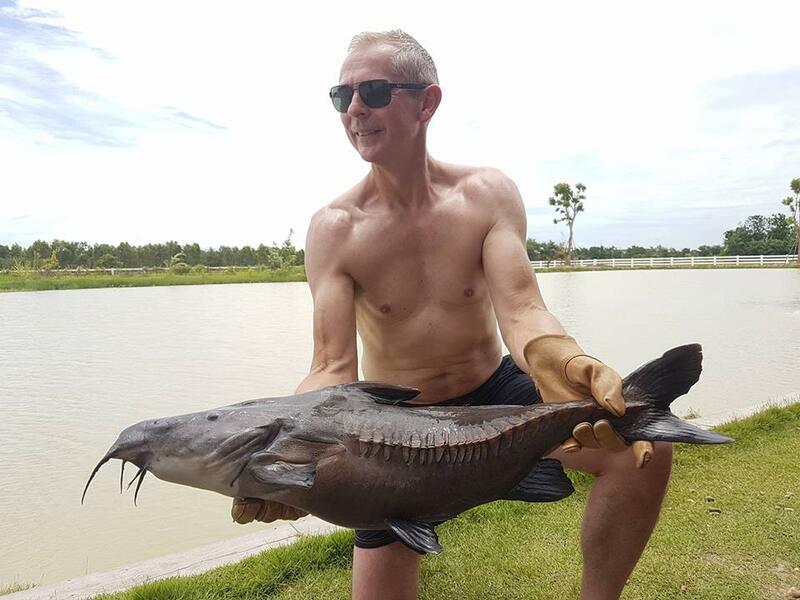 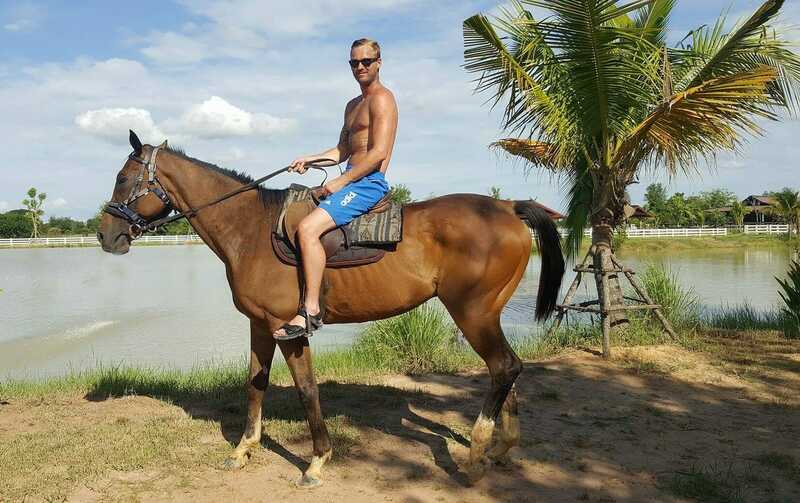 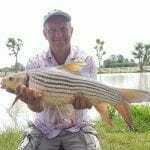 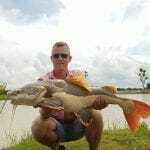 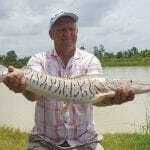 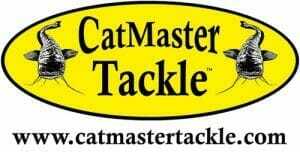 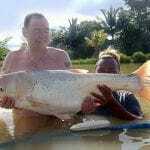 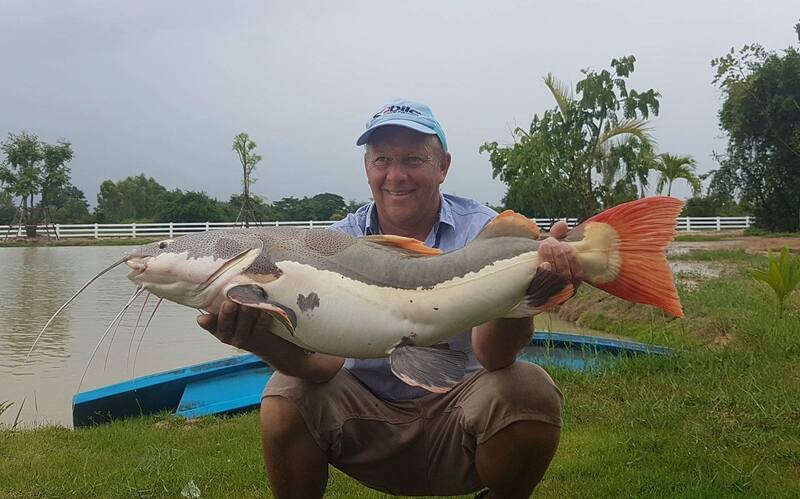 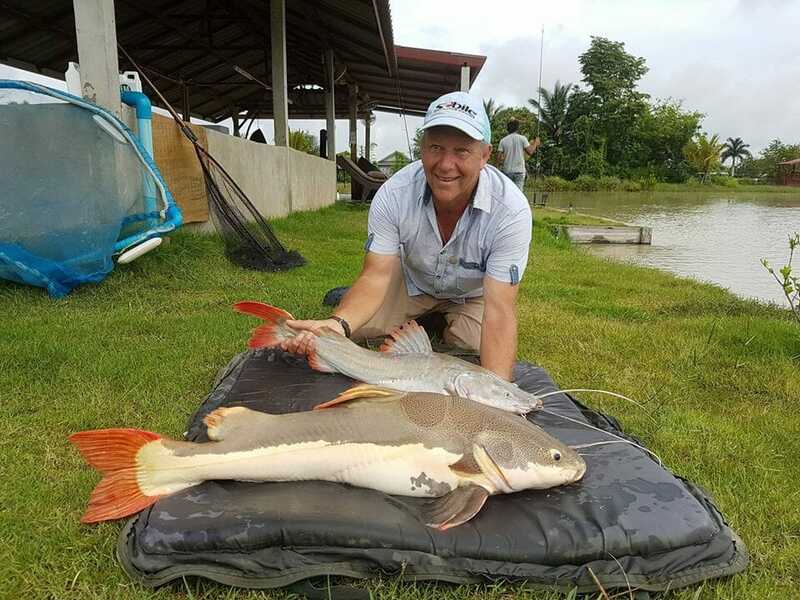 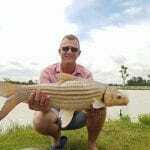 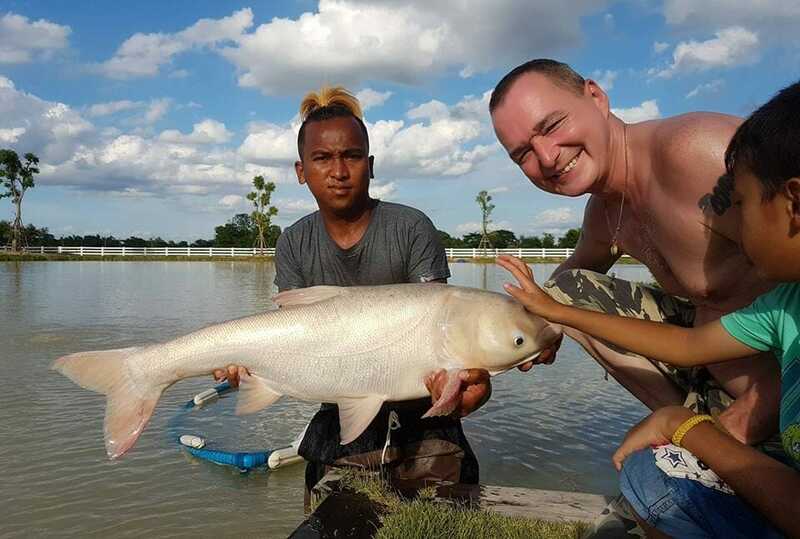 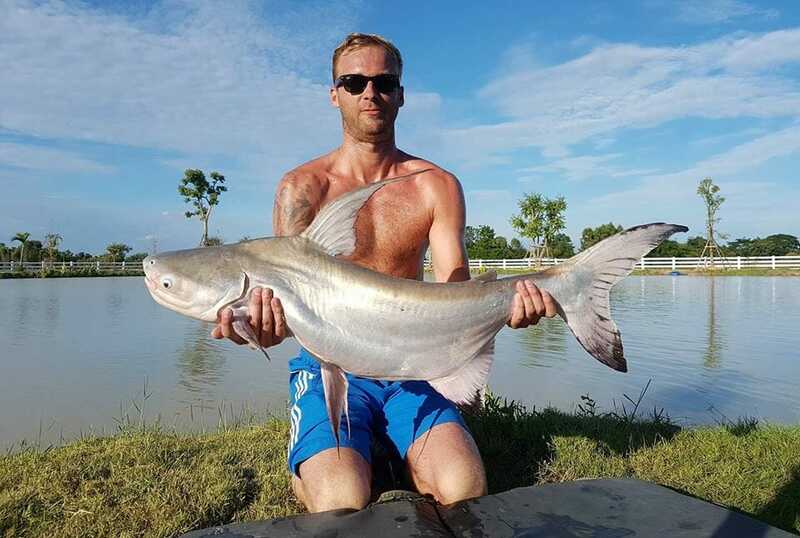 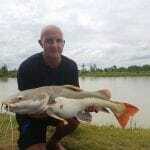 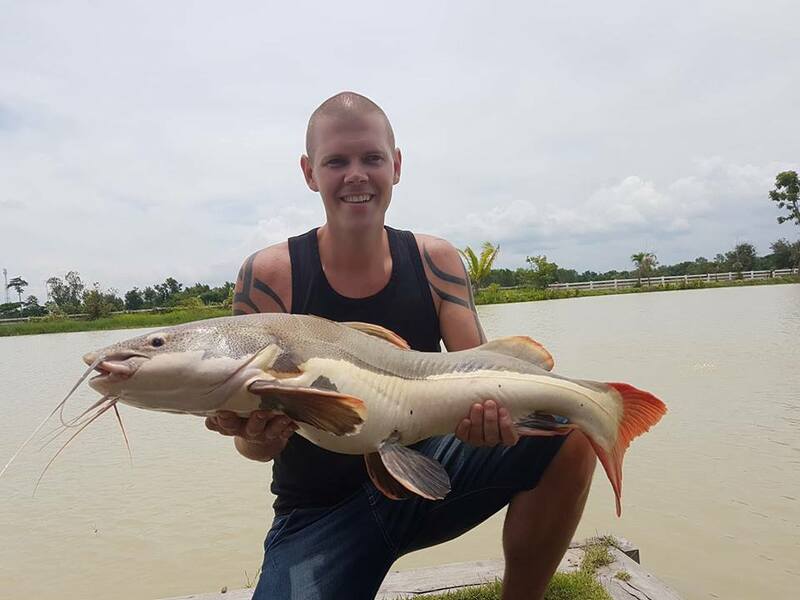 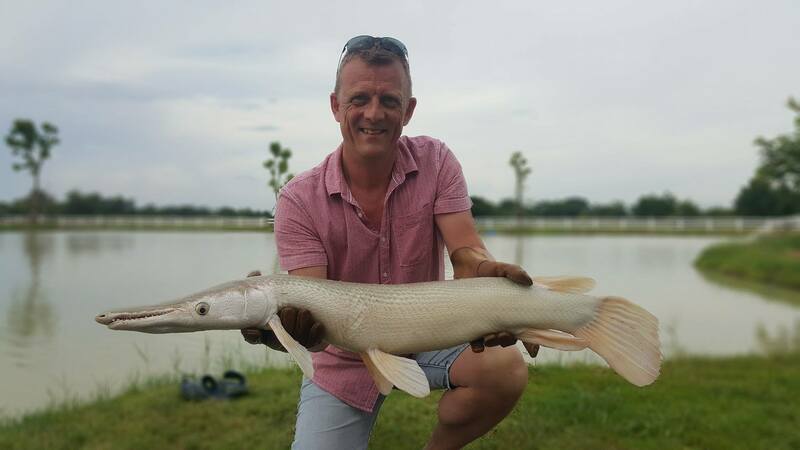 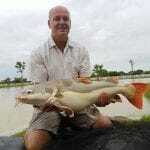 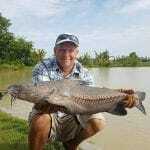 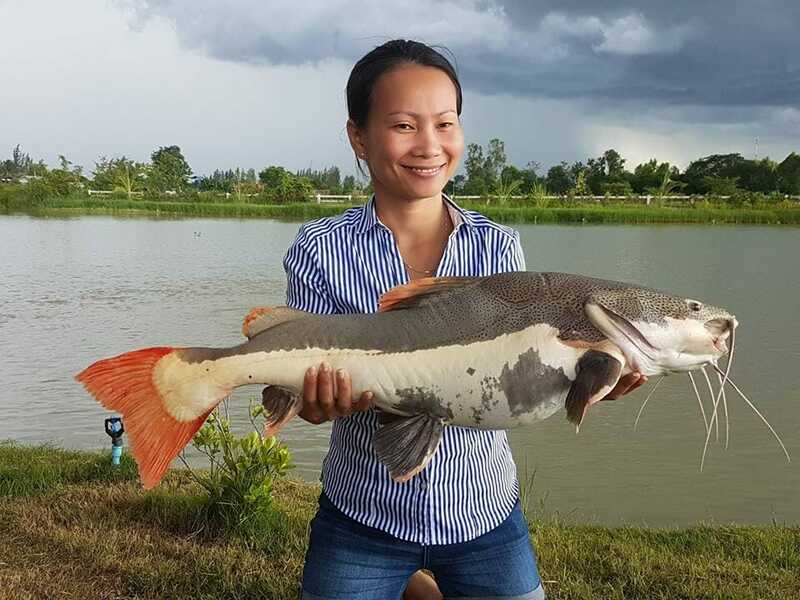 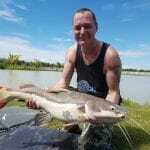 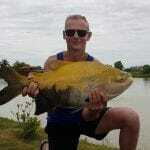 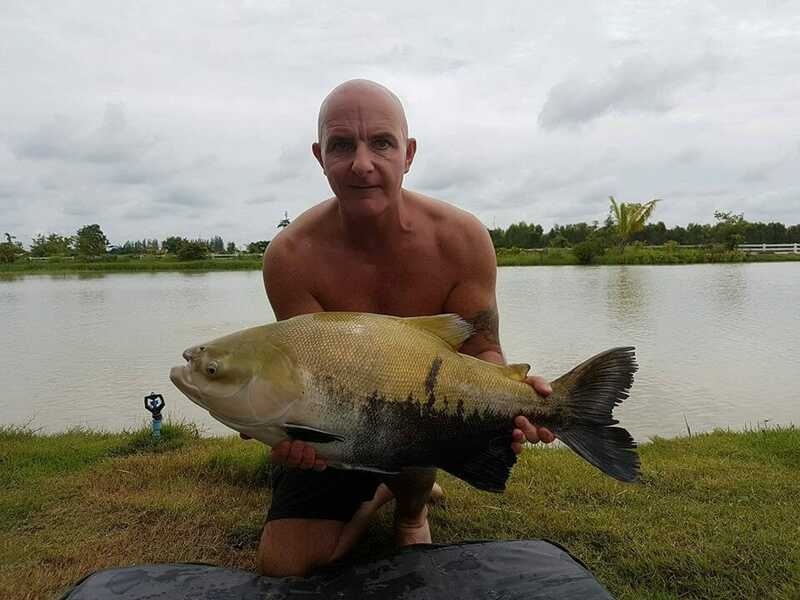 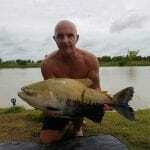 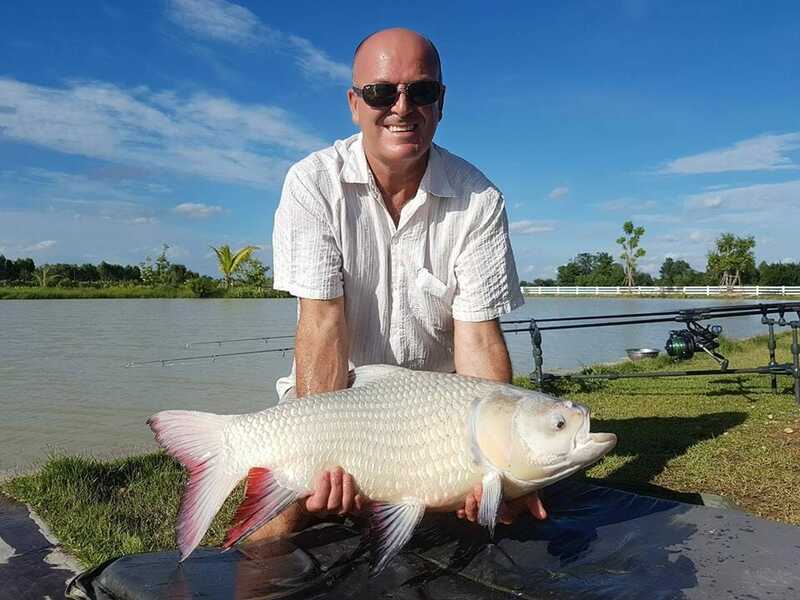 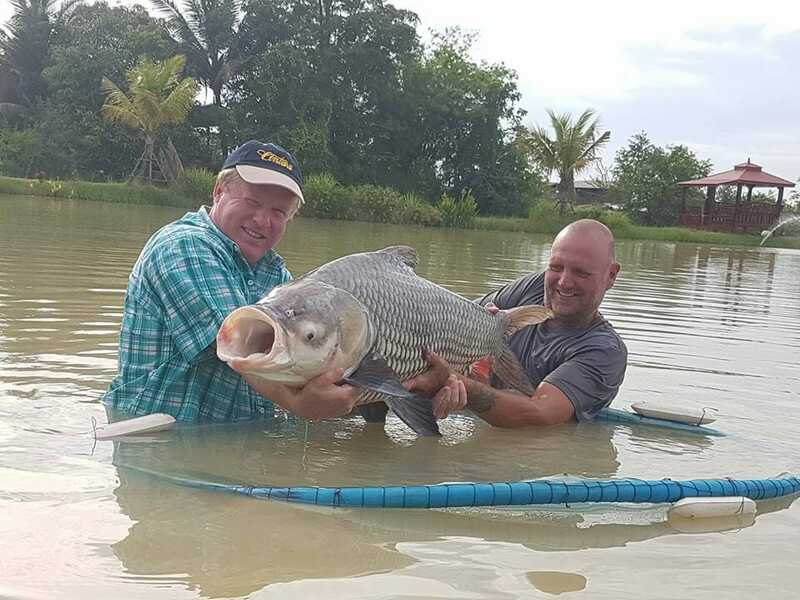 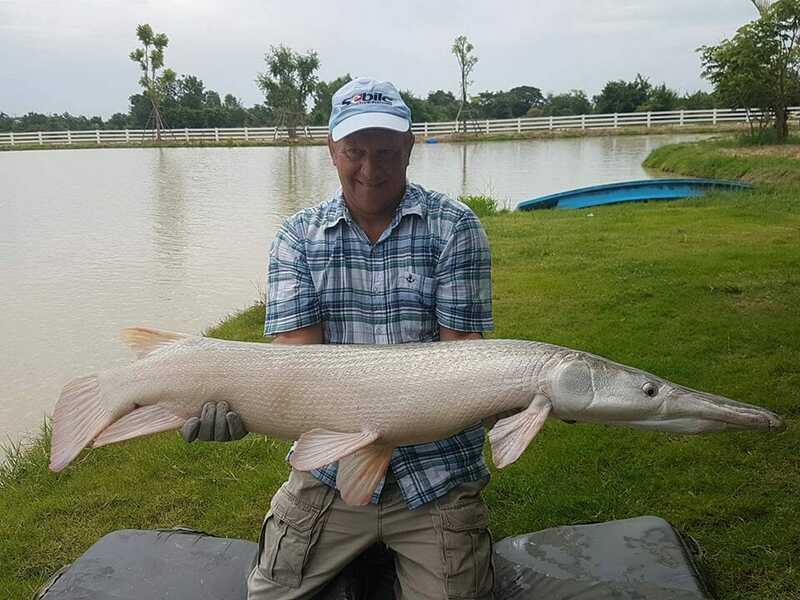 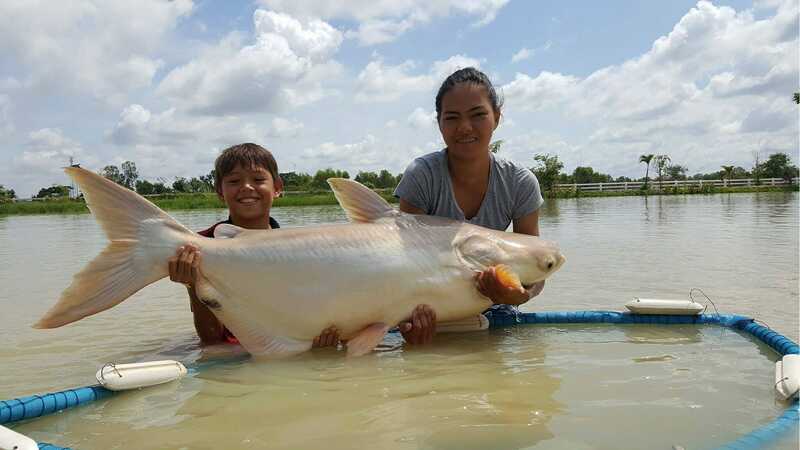 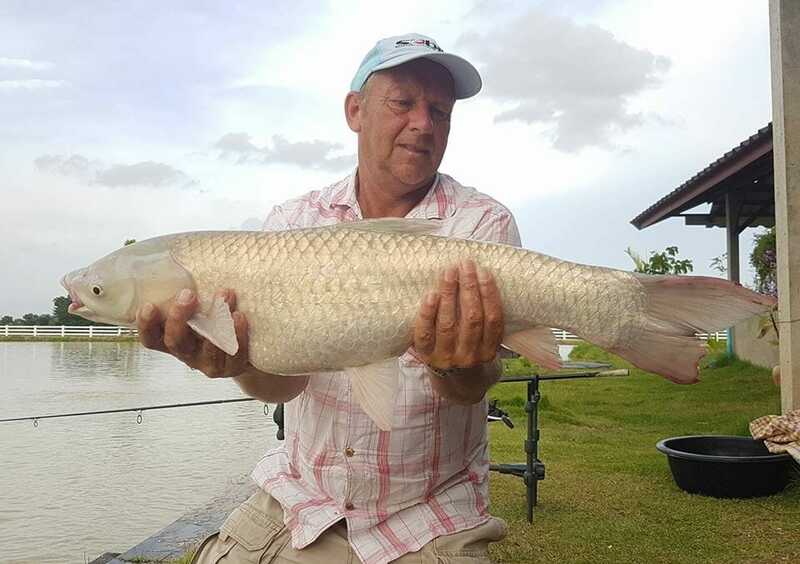 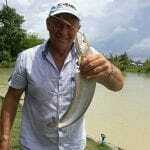 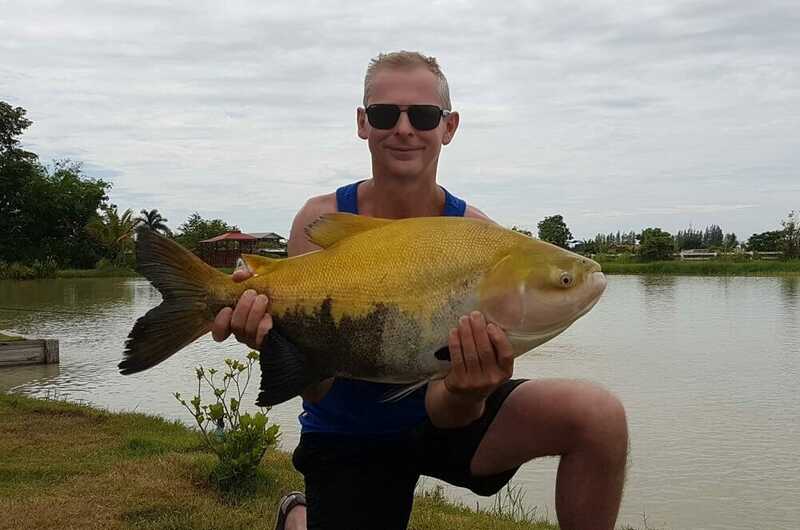 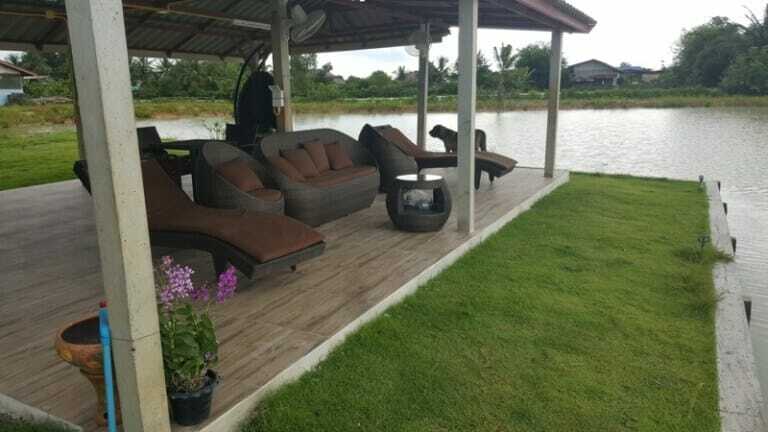 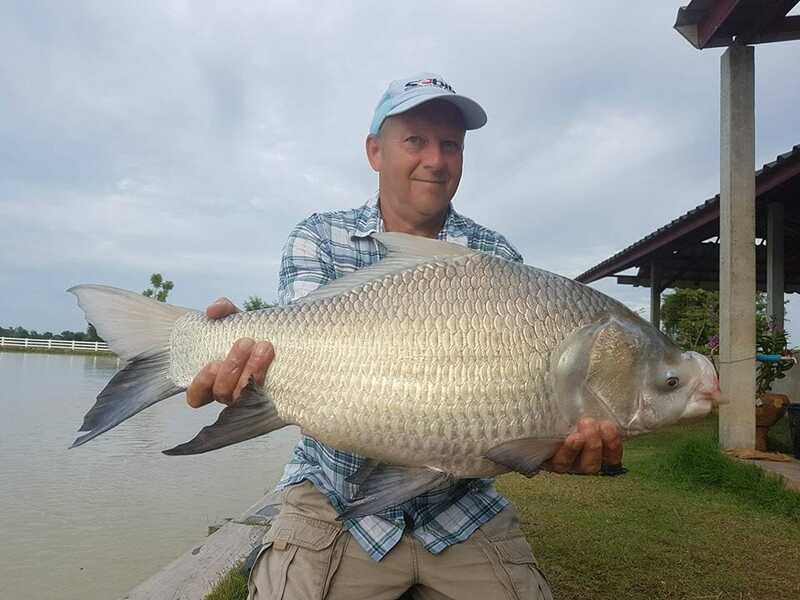 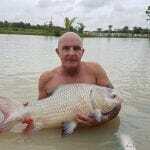 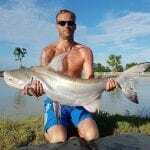 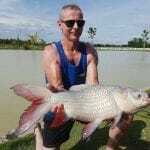 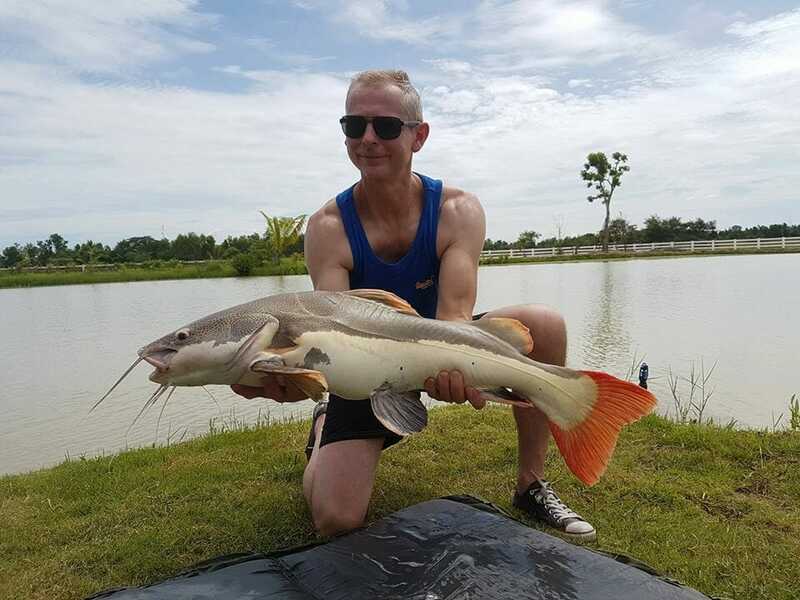 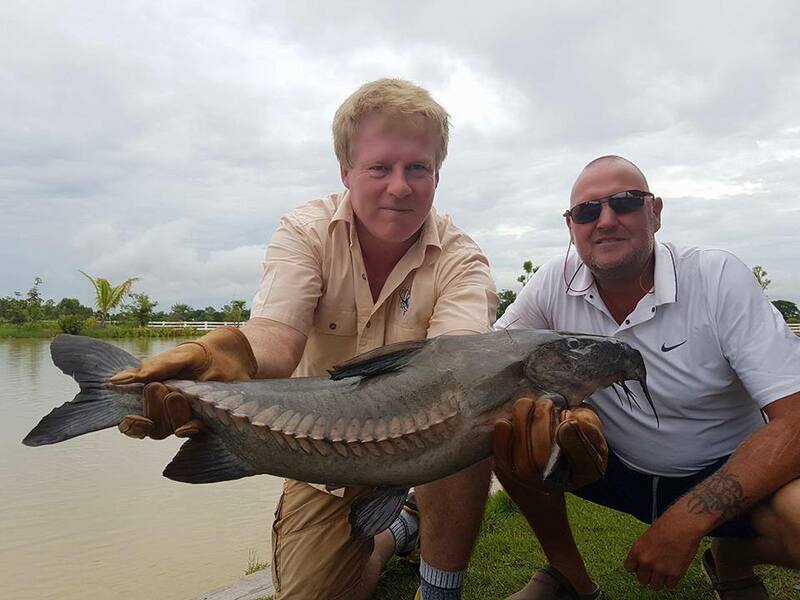 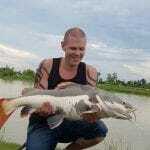 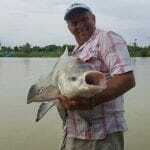 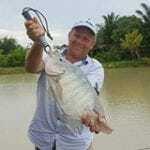 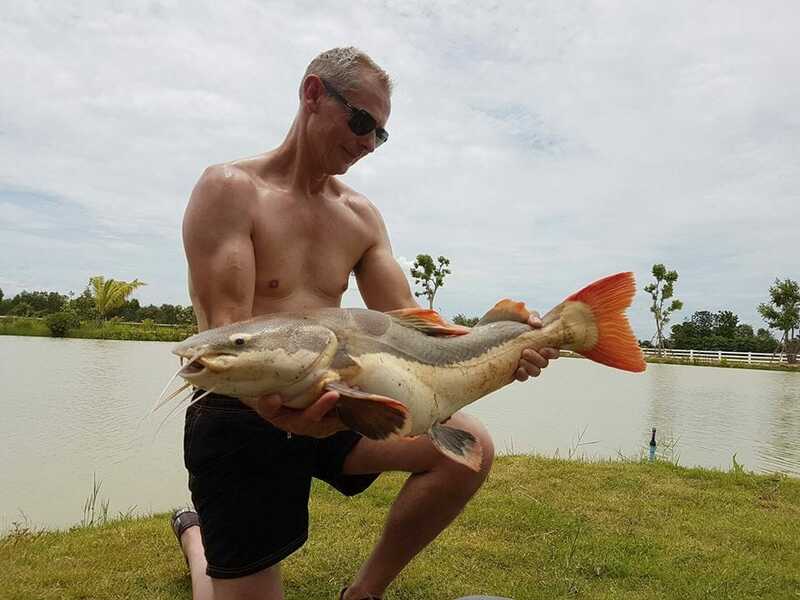 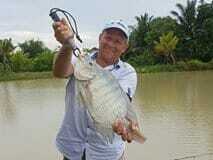 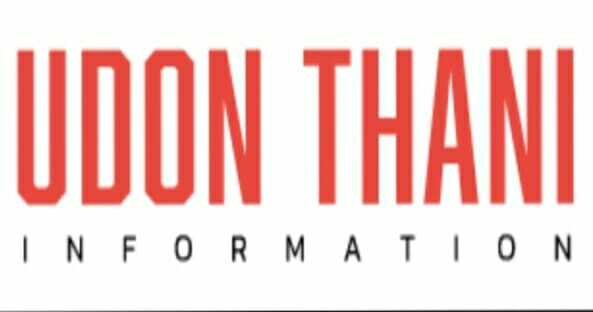 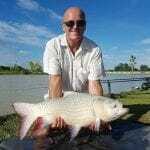 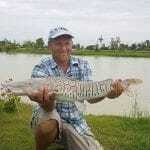 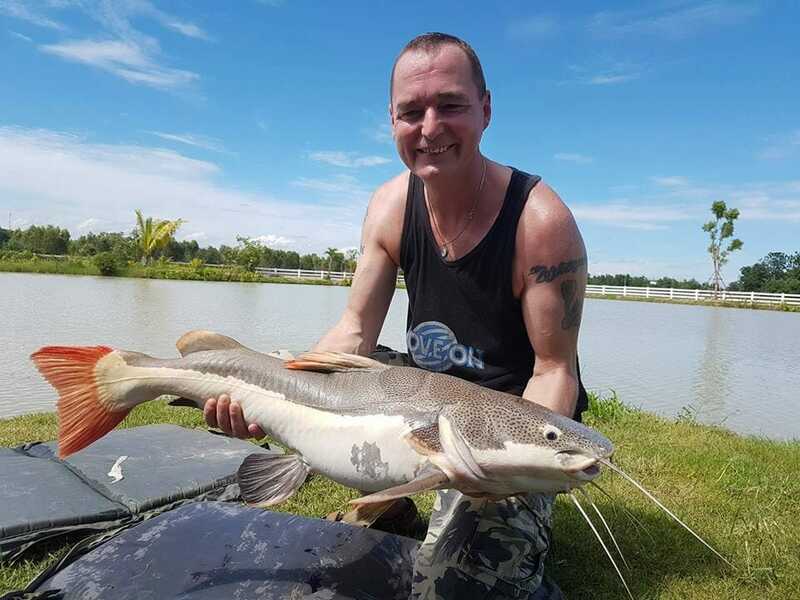 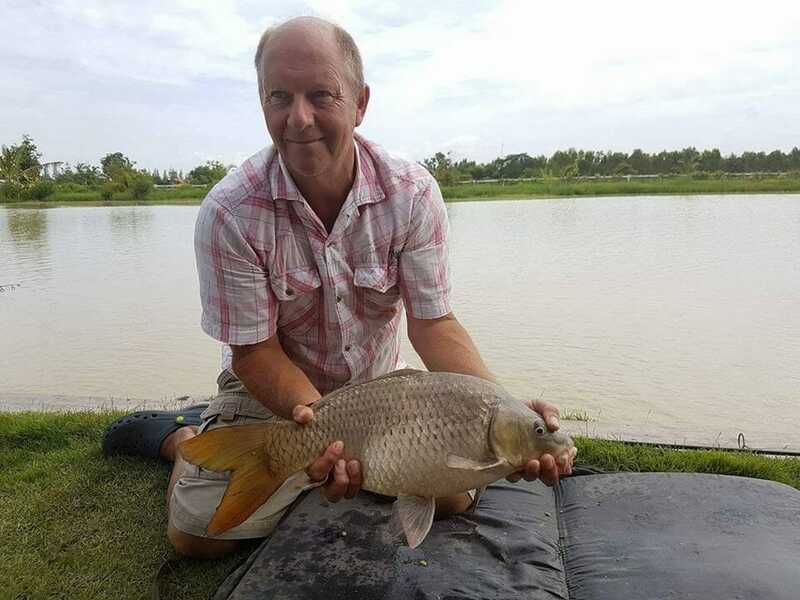 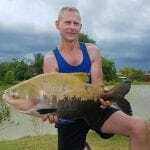 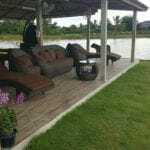 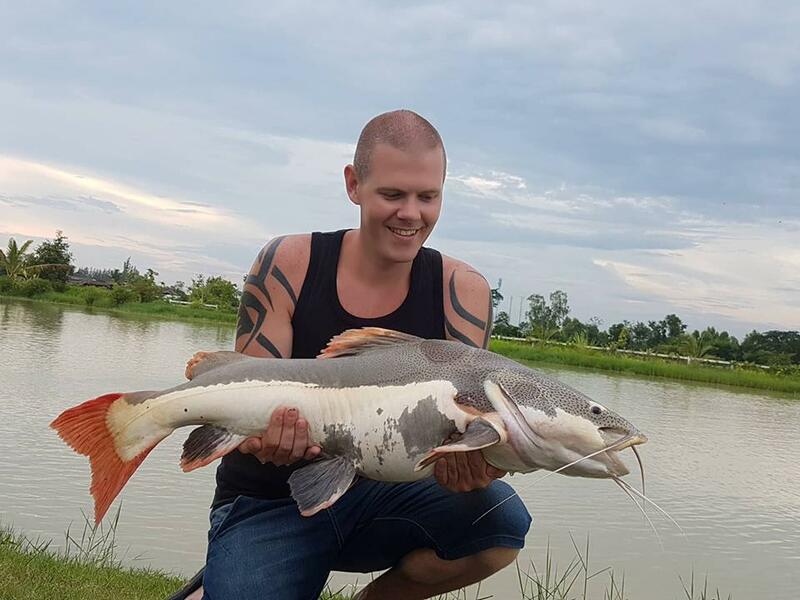 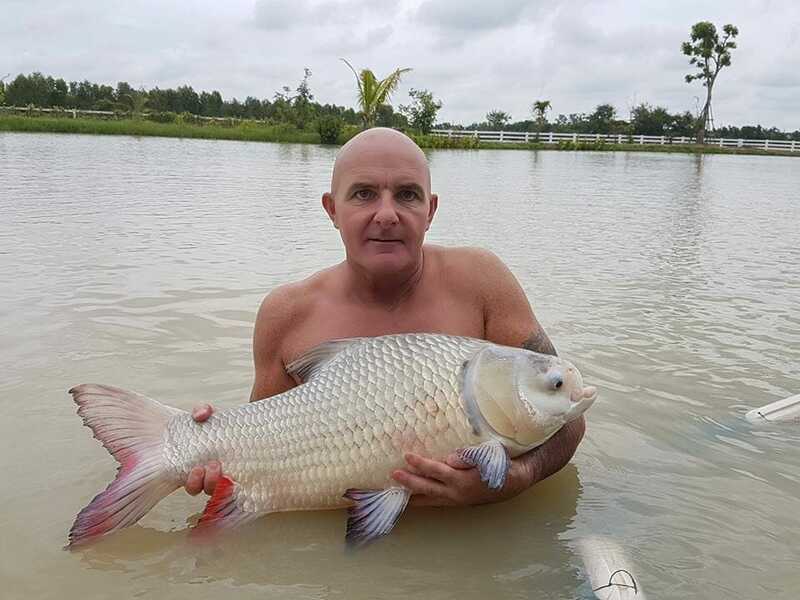 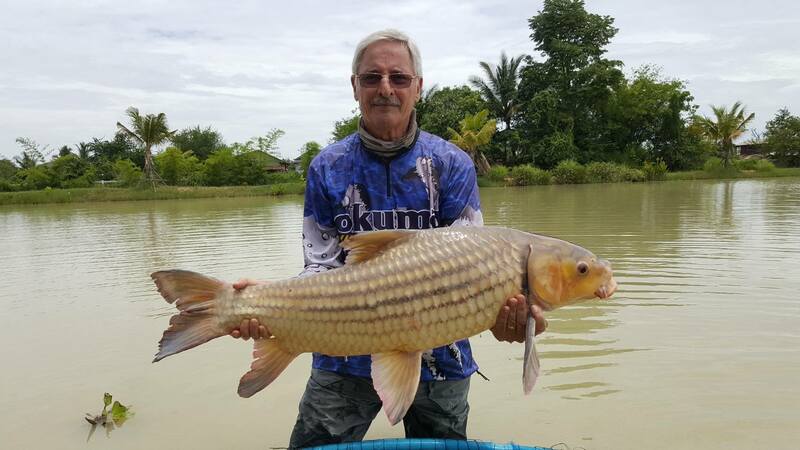 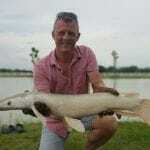 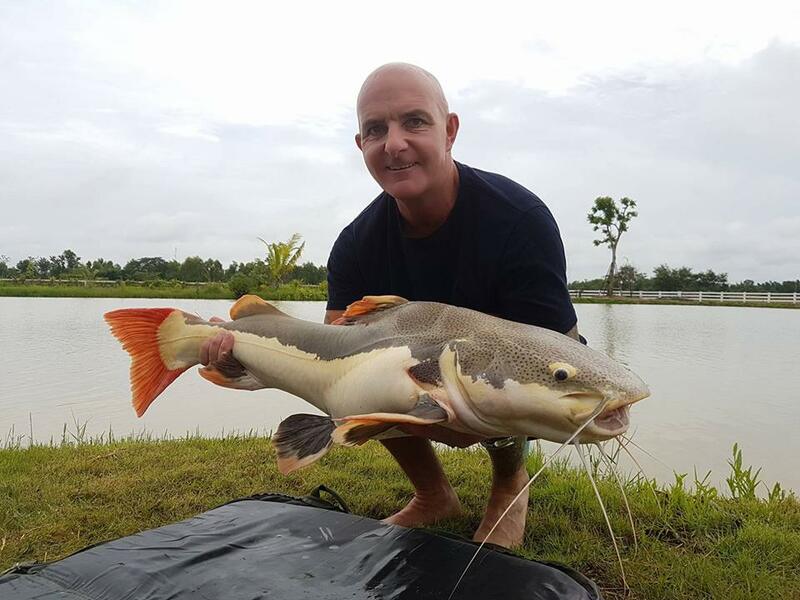 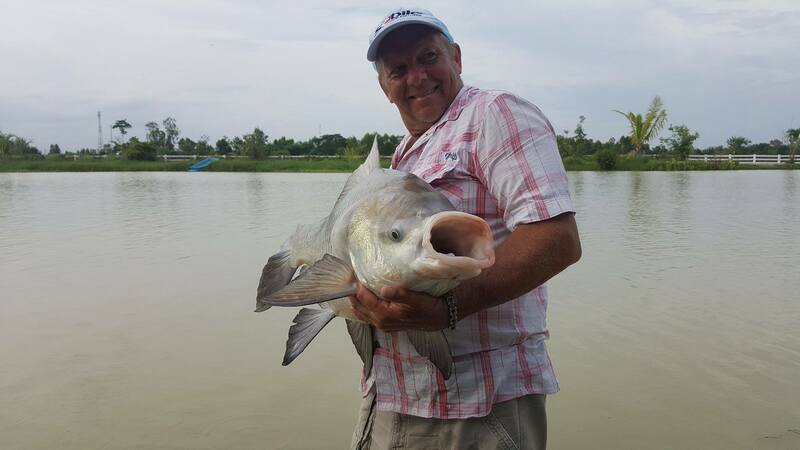 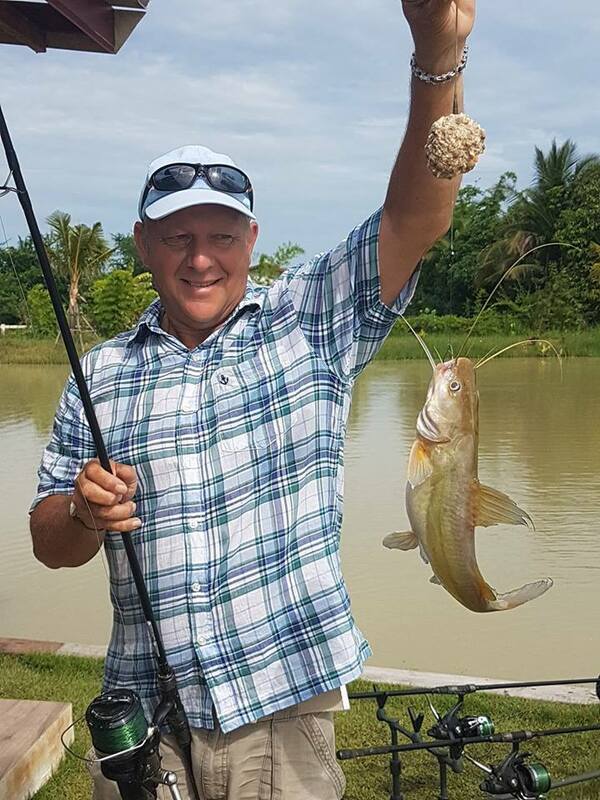 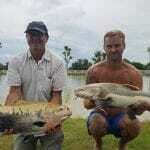 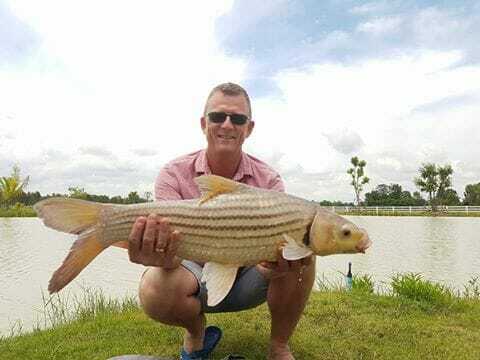 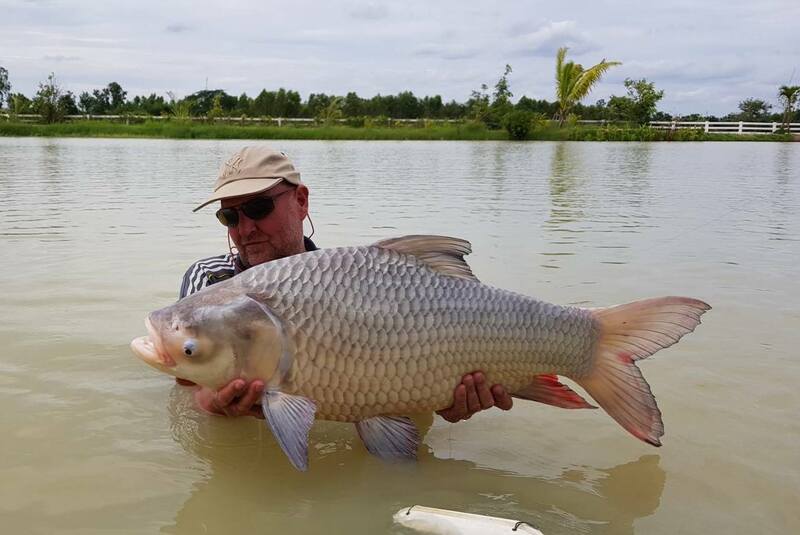 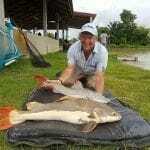 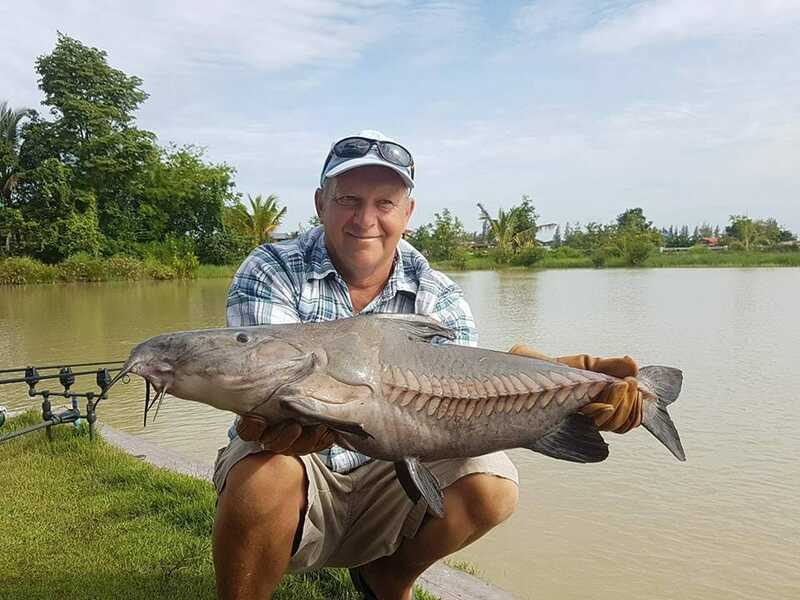 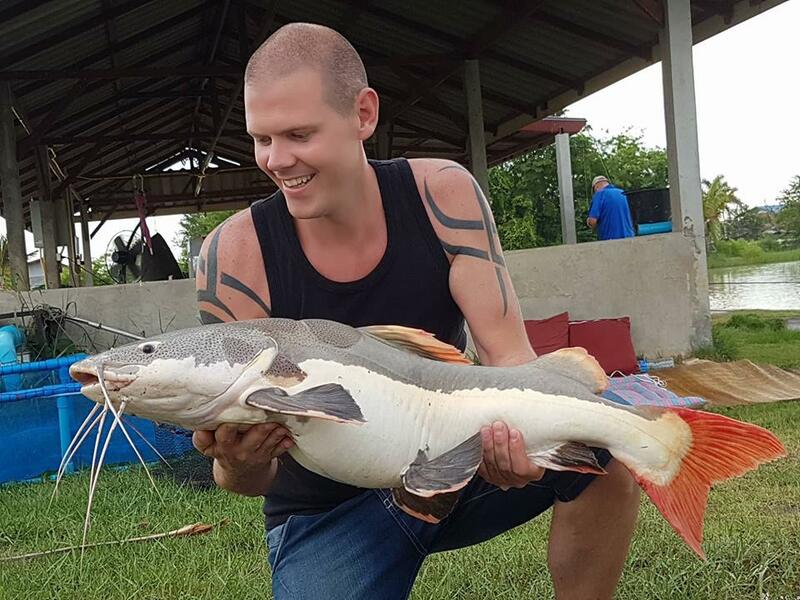 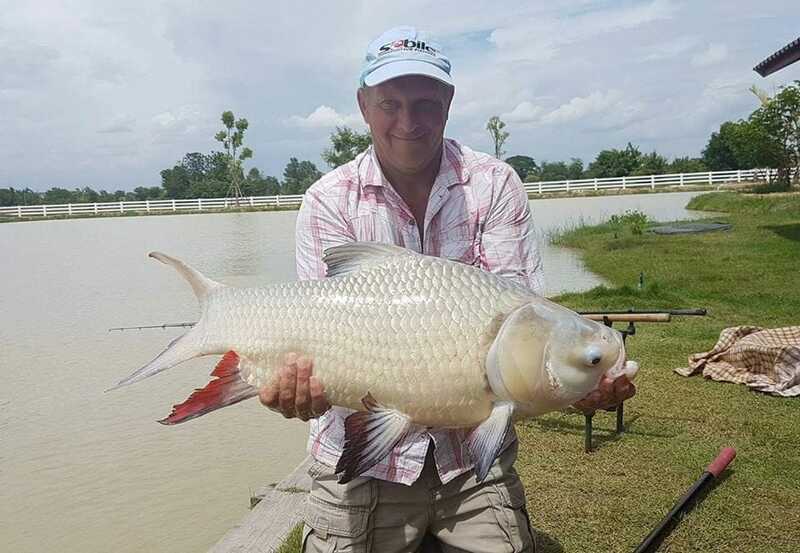 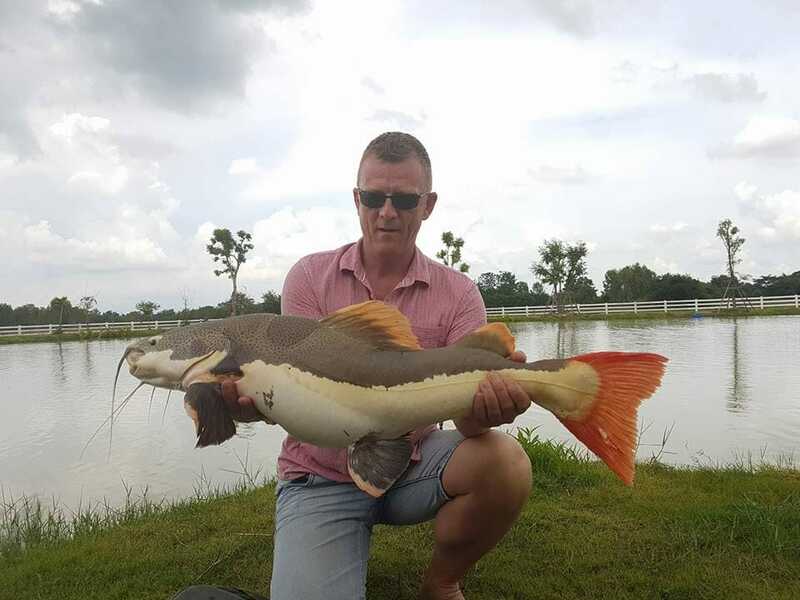 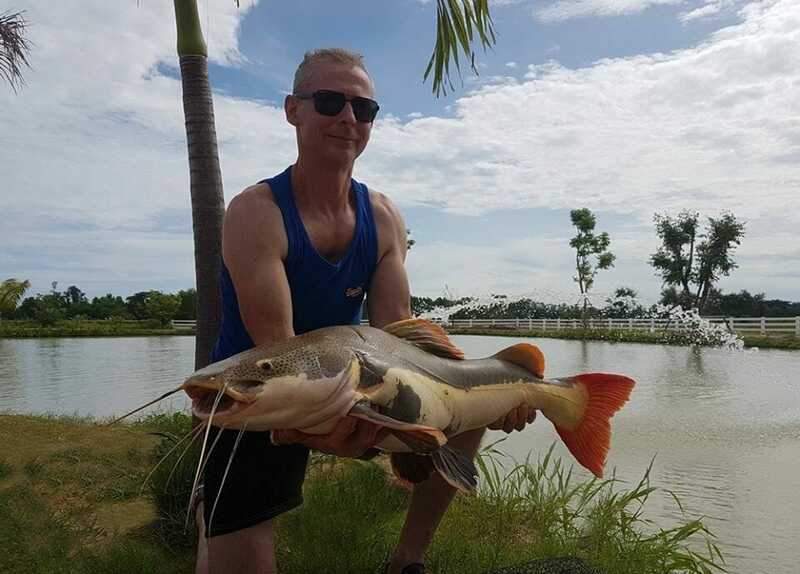 John is over from the UK on holiday but at the same time writing a new Thailand fishing park guide, he had a cracking 3 days at our lake with 14 different fish species landed and about 50 fish in total.. not bad going considering the temperamental weather conditions now the rain season has kicked in..